I slept really well last night, besides the fact that i got up to pee about 4x. i always drink a lot of water, so im not drinking any extra during the reset. i like to think it was the supplements working already. you detox by flushing the poison out of you, so maybe my system already had a ton of poison to flush. i was half asleep so i didnt think to look and see if i was peeing close to clear (normal) or if it was darker from toxins.... ill try to remember next time. i did have a slip up last night though. my first potty break was partnered with an old habit- sleep eating. i dont know if i technically sleep eat, because i am aware i am doing it. but its a trance like state. wake up, pee, head to the kitchen, stuff face, never even think about what youre doing, go back to bed, want to kill yourself in the morning when you realize what youve done. last night i ate a half a bowl of fruit salad and a couple carrots and hummus. not BAD food, but the reset doesnt call for a snack at 2am when youre practically asleep still. i didnt even think twice about it last night, and wanted to cry when i woke up this morning. i guess this just means ill have to break this habit the way i broke it the first time- taping my cabinets shut at night. i can take the tape off super easily, but for some reason seeing the tape and having to physically remove it to get in the cabinets or fridge snaps me back to reality and there a much better chance i wont slip up. during the ultimate reset youre not supposed to do strenuous workouts. im half marathon training on a schedule that ends the day of my half marathon, so i cant afford 3 weeks off. i decided on the days im supposed to run i will jog no faster than a 4.5. the days i do a circuit (like today) i will do about half my normal weight, and rather than run in between reps i am walking. i felt like a weirdo in the gym half assing it, but i know why i am only putting in half the effort. 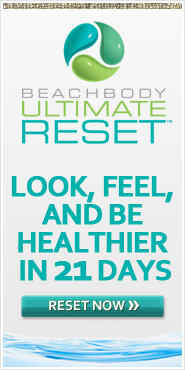 i really want my detox to work, and if i know anything about beach body products, they only work as they promise when you follow them to a T. you dont get the same results from doing insanity whenever you want as you do from doing insanity the way the schedule suggests. so i am afraid if i dont follow the plan the detox isnt going to happen. part of the reason for light exercise is that they want your body to spend your energy detoxing, not working out. so ive also decided every day that i workout and i have time for a nap, during the detox, i will be taking one. so anyways, back to the gym. using only half my normal weight, i was suprised to feel my muscles burning. i typically dont feel that sensation while i am working out at 100%, so SOMETHING is going on in this body of mine right now! Depending on how I feel tomorrow will determine if I am going to continue with my current plans for exercise or if I&apos;m going to cut down to just walking. Unfortunately, my calorie tracking band broke Sunday so I haven&apos;t had it for the reset. When my new one comes in I will also post how many calories I consumed in relation to how many calories I burned. The food today was really good again. The portions are actually huge if you follow the measurements. I learned how to make home made Greek dressing and was impressed. I&apos;m really impressed with how much flavor everything has. It forces real cooking on you. The only flavors come from spices you add so its kind of cool to recognize what different flavors taste like. I know when I buy something processed I just know it tastes good but I can&apos;t actually identify what the different flavors are. The reset is deff resetting my pallet! It&apos;s 9pm, I&apos;ve been up and at it for 13 hours, minus an hour nap I took around 4. Typically a 13 hour day with a nap wouldn&apos;t leave me exhausted, but I am definitely looking forward to bed. A lot of people say the reset helps regulate sleep. I can deff see that because I am ready to knock out! Greek salad with pine nuts, home made Greek dressing, sweet potato.